Nothing encapsulates the beauty of the South Hams more than its gentle backwaters, creeks and waterways. These tranquil shores provide the setting for many of Toad Hall’s most desirable holiday cottages, perched on wooded banks and quiet beachy inlets. The Salcombe-Kingsbridge Estuary continues to delight all those who walk its shoreline and paddle its waters. As well as providing a scenic backdrop for a blissful afternoon, its five meandering miles are also prime for adventure. Whether you’re a solo seafarer, a family crew or a flotilla of friends, Sea Kayak Salcombe can guarantee you an action-packed day on the water. Discover craggy caves and secret gullies as you kayak the South Devon coast towards secluded bays and smuggler’s coves. Receive expert tuition as you master this ancient water sport, the perfect way to explore this extraordinary and captivating stretch of coastline. Set on the magnificent Salcombe-Kingsbridge Estuary, Waterborn offers SUP tuition and tours led by BSUPA qualified instructors. SUP is currently the fastest growing watersport in the UK, offering a myriad of health benefits as well as providing a serene, versatile and fun platform from which to enjoy the water. Sign up for a leisurely paddle along the creeks and coves that characterise these charming tidal shores. Feel the wind beneath your sails as you pit your wits against the tides and currents with Salcombe Dinghy Sailing. Whether you want to learn the ropes on an RYA sailing course or just fancy a half day taster lesson, this leading South Hams sailing school can tailor sessions for youngsters, families and groups. 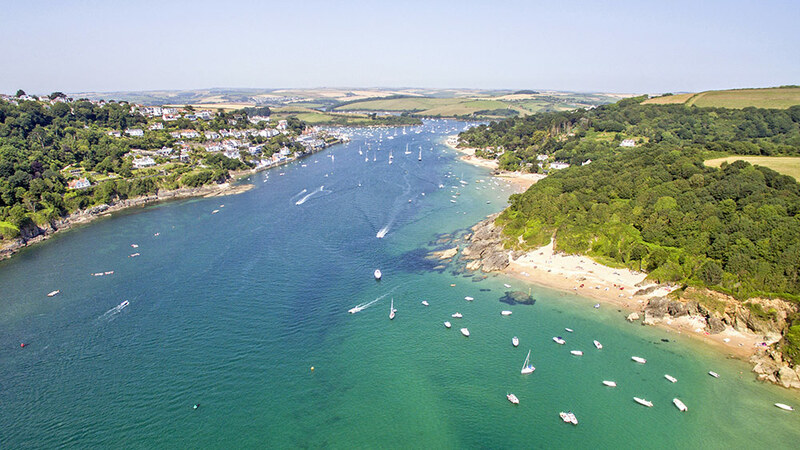 With no previous experience necessary, there’s no better setting than the Salcombe-Kingsbridge Estuary for you to take up the scintillating sport of sailing. 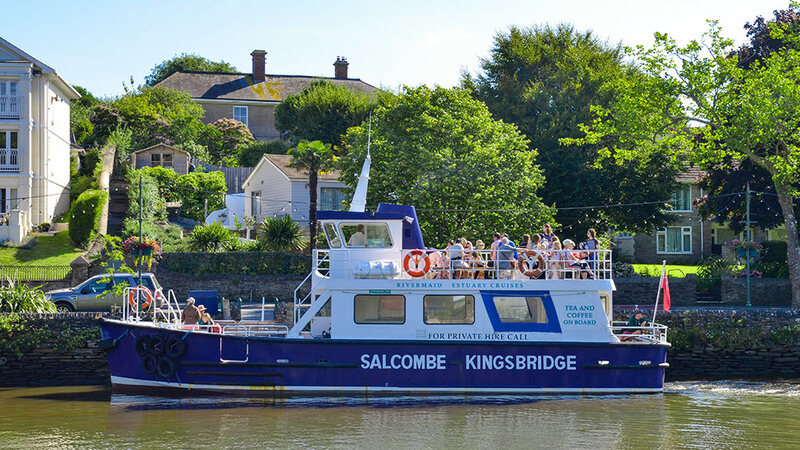 Enjoy a scenic cruise along the Salcombe-Kingsbridge Estuary when you board the iconic passenger ferry, affectionately known as the ‘Rivermaid’. The Rivermaid also runs a host of seasonal outings, including birdwatching tours and creek meanderings as well as serving as a vital ferry link between the neighbouring estuary towns of Kingsbridge and Salcombe. It’s been described as the ‘ultimate adrenalin rush’, a pulsating combination of rock climbing, bouldering and wild swimming. If you’re looking for an adventure on the Salcombe-Kingsbridge Estuary and would relish the opportunity to explore hidden channels and caves while traversing across rocky outcrops and plunging from brave heights, then a Salcombe Coasteering session is a must. Sink beneath the big blue to discover scenic reefs, rock pinnacles and centuries old wrecks. If you’re an experienced diver and would like to explore the submerged realm of Salcombe’s sunken shipwrecks while also getting up close to its fascinating marine life, look no further than Falcon Diving Charters. Our Kingsbridge and Salcombe holiday cottages provide the ideal base for diving parties and expeditions looking to enjoy a scuba escape on the South Devon seabed. 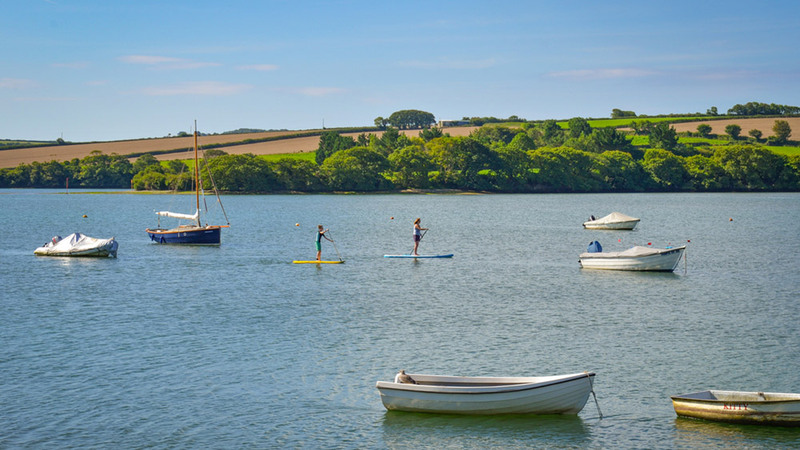 Based on the glorious Salcombe-Kingsbridge Estuary, no one knows the South Hams backwaters better than Singing Paddles. Enjoy the freedom of an open top canoe with enough space for the whole family. Many of the Singing Paddles trips include campfire cooking, navigation skills and bush craft as well as learning the practicalities of open water paddling. It’s also a great way to build self-esteem, confidence and leadership qualities. They say the simple things in life are the best, and with that in mind, nothing beats dangling a hook and line off a South Hams pontoon on a sunny afternoon. 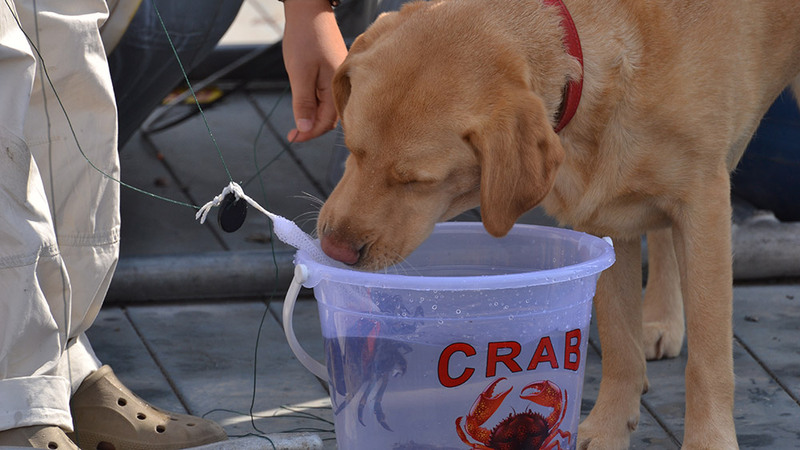 We couldn’t put together a Salcombe-Kingsbridge activity list without including a crabbing line and bucket! While away the hours landing the local crustaceans ‘till your hearts content before bidding them adieu as they scuttle off the jetty and back from where they came. Be on the look out for ‘The General’, an elusive (and quite possibly imaginary) brown crab whose enormous pincers make it the stuff of legend amongst the local youngsters. From exhilarating full day charters to fun-packed hour-long sessions, it’s all in a day’s work for Salcombe Sea-N-Shore. Offering a variety of rib rides, this speedy team of powerboaters know exactly how to lead a sea spraying white-knuckle ride. Ideal for stag or hen dos, parties, groups of friends, families or couples, this thrilling experience is sure to have you on the edge of your seats as you bounce on the wash past Salcombe Bar. All you have to do is hang on and enjoy the ride! Step aboard one of Salcombe Harbour’s most stylish yachts for a tour of the spectacular South Ham’s coastline whilst savouring some of the finer things in life. When you’re a guest of Sailfunk Sailing Partners, you’ll find yourself in the lap of luxury, relaxing on deck with your very own private skipper at the helm. Enjoy a top-notch lunch as you cruise along the headland or a romantic candle-lit dinner to a sunset backdrop. Enjoy the unrivalled beauty of the Salcombe-Kingsbridge Estuary when you book a stay with Toad Hall Cottages.